Haha but you just told me it was all worth it!!! 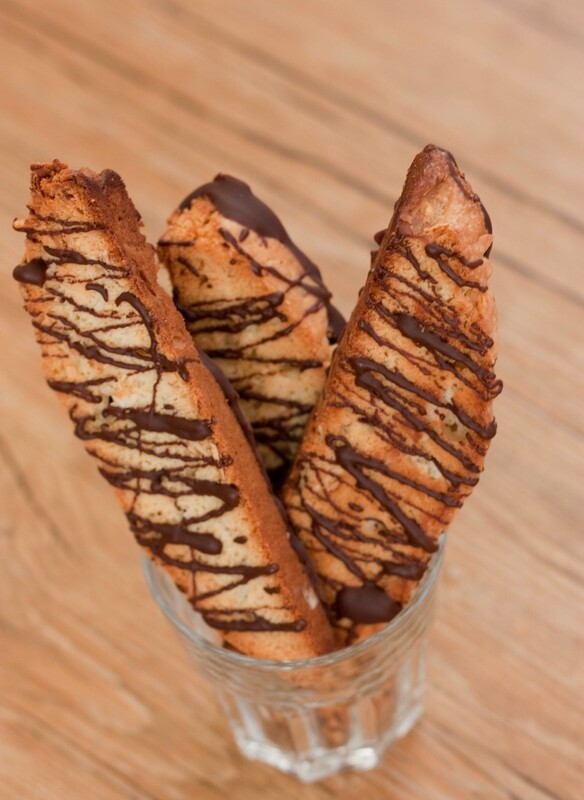 Those sound and look like the best biscotti, I’m pinning this now! Those look so good – very pretty. I’ve been meaning to have another go at biscotti for a while… I probably will after seeing this. These are beautiful! I’ve been meaning to make biscotti; I want to play with cardamom. The addition of coconut is genius. Thanks so much for this inspirational post! Ooooh yessss! 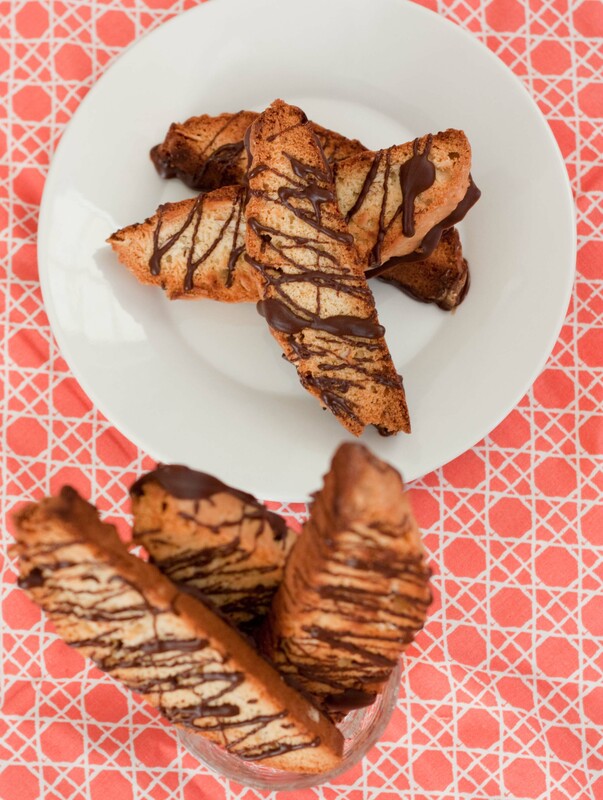 Try it with cardamom! Let me know how it is. That sounds like the perfect addition! I will definitely snap a pic because these have been starred in my google reader. Almond Joys are my weakness and I love making biscotti because they last forever. PS-Glad to know you’re not pregnant, that was the first word that came out to me…..and no, I’m not pregnant. Do it, do it! Haha yes, thank goodness we’re both NOT pregnant! Well done! They look beautiful. 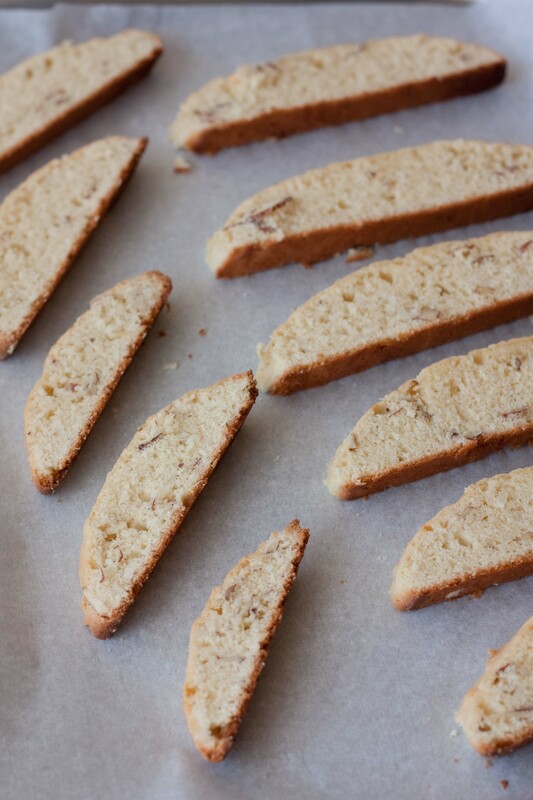 I just visited Italy for the first time, so I’m definitely going to have to make some biscotti! I had no idea they were baked as logs, and then later cut, that makes so much sense, now! I spent a week in Florence and a week in Tuscany, just outside of Siena. But I’m so jealous that you got to live there for so long! It must have been AMAZING! We did a food/market tour, so I’m definitely going to have to post pics of that. So much good food!